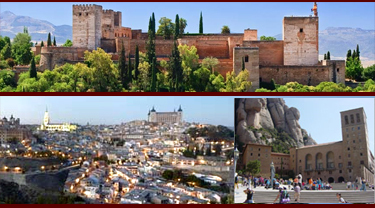 Full Day Sightseeing tours in Spain offered from various cities to local attractions that requires a full day to experience. Tours last from 6 to 12 hours to places which you could normally not experience on your own with local transportation. Including tours from Costa del Sol to Morrocco and other tours from Madrid, Barcelona, Seville and Santiago de Compostela.